Macomb County officials and leaders within the Macomb County Department of Roads are taking part in National Work Zone Awareness Week (NWZAW), an annual spring campaign held at the start of construction season to encourage safe driving through highway work zones. The weeklong campaign, which runs through April 12, kicked off today under the theme "Drive like you work here!" "It's very important that drivers stay alert and aware, especially in work zones," said Bryan Santo, director, Macomb County Department of Roads. "Our goal with National Work Zone Awareness Week is to ensure that every driver knows how dangerous distracted or careless driving can be and that they drive very carefully this upcoming construction season." A work zone crash occurred once every 5.4 minutes. Every day, 70 work zone crashes occurred that resulted in at least one injury. Every week, 12 work zone crashes occurred that resulted in at least one fatality. Macomb County joins MDOT and numerous traffic safety partners across the country in the 2019 NWZAW campaign in an effort to reduce those numbers and improve overall safety.  "The dedicated employees of the Macomb County Department of Roads work tirelessly with local contractors and engineers to build some of the safest and most efficient roads in Michigan," said Macomb County Executive Mark A. Hackel. "During NWZAW and on every other day of the year, we ask that everyone keep an eye out for these hardworking men and women and drive safely in construction areas." NWZAW supporters are asked to participate in 'Go Orange Day' on Wednesday, April 10 by wearing orange to show support for the men and women who work to keep our roads safe. Pictures can be posted to Facebook and Twitter with the hashtags #Orange4Safety and #GoOrangeDay. For more information on National Work Zone Awareness Week, please visit http://www.nwzaw.org/.